Mushrooms are magical and mysterious at the same time. They are more like animals then they are like plants. But what they really are is a form of fungus. Today we don’t think we have much to do with fungus in our daily lives and when it comes to food we most often think fungus as an unwanted growth – a sign that something should not be eaten and thrown into the trash or compost patch for rotting vegetables to further decomposes. This is if you’re eating real food. Processed food is pure free from bacteria, fungus and nutrition for it is mostly sugar and sugar doesn’t go bad. But I’ve gotten sidetracked again on with the mushroom. A Mushroom is a Fungus but not all fungus is a mushroom. Fungus has been around the earth since our prehistoric primordial ocean goo period. Fungus climbed out of the goo with us and is a major part of our bodies even today. We have fungus in us and all around us. We need fungus to further life and to grow. To grow things must die we need fungus to clean up the mess so to speak. There are many types of mushrooms numbering into the thousands. Only a small percentage of them are poisonous the rest are not only eatable but considered gourmet or a delicacy. What I have suddenly realized is this bacteria, decay and rot to a mushroom is LUNCH. Mushrooms literally decompose bacteria. They turn rotting decaying soil into healthy soil. Healthy soil that grows healthy food and in many cases the mushroom becomes food itself. It is part of this magical earth we live on. The more I looked into mushrooms the more I was amazed. This just brushes the surface but mushrooms are eatable, gourmet, magical, medicinal, poisonous or toxic, or psychedelic, to name a few. There are thousands of mushroom types and over 100 different species. 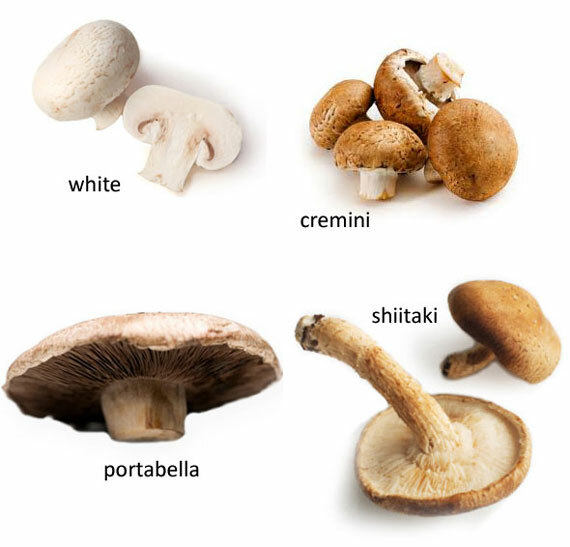 Many different mushroom types are being studied for their health-promoting benefits, and about a half dozen really stand out for their ability to deliver a tremendous boost to your immune system including fighting cancer. Sort of like what they can do to the soil of the earth can they do to your gut flora or your immune system? Good question. Mushrooms look like buttons, chickens, hens, fans, flowers, trumpets or horns, tails of turkeys and umbrellas. Mushroom have been called toadstools for they grow in a swamp and resemble a stool for a fog. 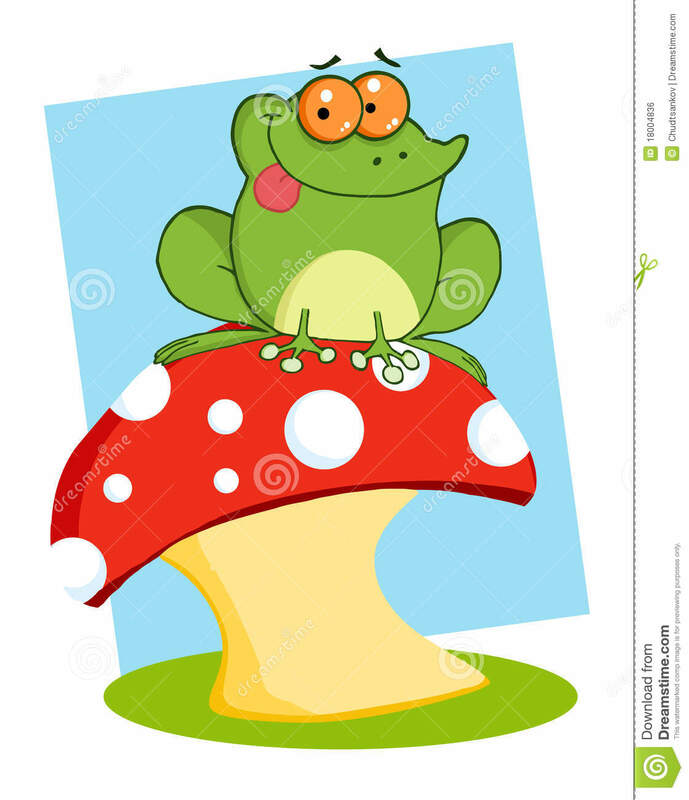 I like to think of it as a stool a tadpole (baby frog) sits on a toadstool to audition to go to frog school. Frogs sit on mushroom caps to get out of the mud and sing or go ribbitting or croaking or whatever sound a frog makes. I know I have another one – the frog wants to become an American and Americans don’t like dirt especially dirty frogs. Ha Ha!!! Mushrooms are multicolored that range from stone white to black, light and dark brown, green, greys, orange, reds, yellow and of course, dirty white. It is important that you know how the mushroom has been grown for mushroom absorb whatever they are grown on, that is why they can become toxic when grown in the wild. The growing conditions is critical especially to a novice like me. You should buy your mushrooms or mushroom kits from a reliable source. The best is to find a local mushroom farmer or grow them your own. A Mushroom is a Fungus but not all fungus is a mushroom. A mushroom is a reproductive structure that grows above the ground. It releases spores to keep the species going. As long as there is decay for the mushroom to feed on it will continue to grow and multiply. Once the decay or rot is gone the mushroom disappears or decomposes. Mushrooms are not normally long lived. The Mushroom grows above the ground. It has no blossoms, flowers, leaves, root, or seeds yet, the mushroom itself is called the fruit body. Cap – As there are hundreds of mushroom varieties there are many shapes of caps or umbrella shaped tops. Gills – Under the cap. Which contain Spores. Mycelium – Are not roots but I have heard is the healthiest part of the mushroom. Spores – This is how a mushroom makes little baby mushrooms. Mushrooms grow not from eggs, or seeds but from spores. A mushroom is a variety of gilled fungi with or without stems. Fish have gills. When one starts talking about the mushroom terms like “Magic” or “psychedelic” come to mind. Or at least the mind of my age group. I sometimes wonder if the kids of today even know what a rabbit hole is or even maybe a real rabbit. The magic mushroom I remember came from the story Alice in Wonderland. 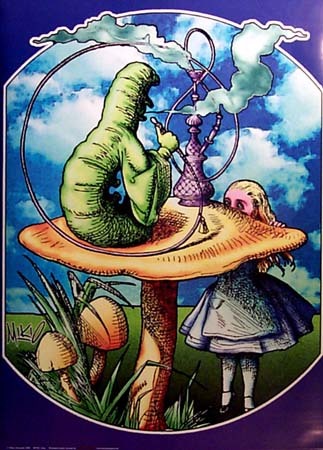 Soon after Alice fell into the rabbit’s hole, she came upon a caterpillar sitting on a mushroom smoking a hokah (water pipe for smoking we will assume tobacco). It turns out the mushroom was magic and the caterpillar offered the advice of its powers to Alice to help her in her situation. One side of the mushroom will make her taller and the other side will make her shorter. This then leads me to the psychedelic mushroom which reminds me of the 1960s Student Peace movement or student revolution. The wonderful 1960s full of hippies turned yuppies, gathering at the, Summer of Love in California and Woodstock New York getting high, LSD, strange music, and psychedelic mushrooms plus a little weed. Psilocybin, psychedelic, or magic mushrooms – are mushrooms that contain the psychedelic drugs psilocybin and psilocin. Psilocybin mushrooms have likely been used since prehistoric times and may have been depicted in the caveman’s rock art. Many cultures have used these mushrooms in religious rites. In modern societies, they are used recreationally for their psychedelic effects. It is unfortunate but American’s have lost their ancient American Indian traditions where mushroom and other remedies came from things found growing in the ground. The Medicine man of the tribe would comb the land in search of cures and remedies for his tribe. The most common type of mushroom we find America buying is the white mushroom or button (Crimini, and Portobello are the same species) not to downplay its popularity but it is to quote Steve Farrar “Like the white bread of the mushroom world.” America has been industrialized including its food supply everything is processed. American’s love pure white food; pure white bread, pure white flour, pure white rice, pure white salt, don’t forget the pure white sugar, and anything else pure white. Everything has been pasteurized and is bacteria free. These foods are processed high in synthetic added vitamins and empty of any nutrition. The American are a bit afraid of anything that has colors, is exotic, isn’t clear, has texture or tastes bitter so the white button mushroom is safe even if it may have a spec of dirt or …whatever. Most mushrooms in the grocery store are grown on Farms. In the world of industry mushrooms are grown on farms not from the wild. Rather than using a whole food like grain, millet, rice or a wood log, microscopic mushroom spores take root in a growing medium or a sterilized host like a pasteurized bale of hay or sawdust. They can also be made to grow in stainless steel tubs called bioreactors in submerged synthetic fermentation material. Mushroom spores are then injected into the host it is watered and left in a moist dark area to grow. The American industrialized common button or Portobello mushroom is normally grown in this fashion. Medicinal Mushrooms come to us from the ancient and traditional herbal medicines from East Asia like Traditional Chinese Medicine (TCM) (ling zhi “spirit plant”), Japanese (“10,000 year mushroom), Tibetan, Vietnamese and others from over 2,000 years ago. Alexander Solzhenitsyn’s 1967 novel Cancer Ward featured Inonotus obliguus a mushroom used in Russia as early as the 16th century. The medicinal mushroom is very popular in the Asian and European markets but not so much in the American market. As modern medicine continues to have difficulty with such things as the “superbug” interest is growing in the medicinal power of some mushrooms. Although all mushrooms have health benefits a medicinal mushroom are the superfood. These benefits included antioxidants, allergy reduction, the treatment of cancer, to relieve the side effects of chemotherapy, acute diabetes, treat HIV/AIDS, boosting an immune system, Chronic Fatigue syndrome (CFS), hepatitis, and high blood pressure. There are current studies to determine just how medicinal some mushrooms can be. I will leave the discussion of pharmaceutical drugs for another time but we all should remember the creation of penicillin as the first antibiotic. The use and overuse of pharmaceutical drugs is a hot topic and one reason I have turned to natural cures. But on with the mushroom. 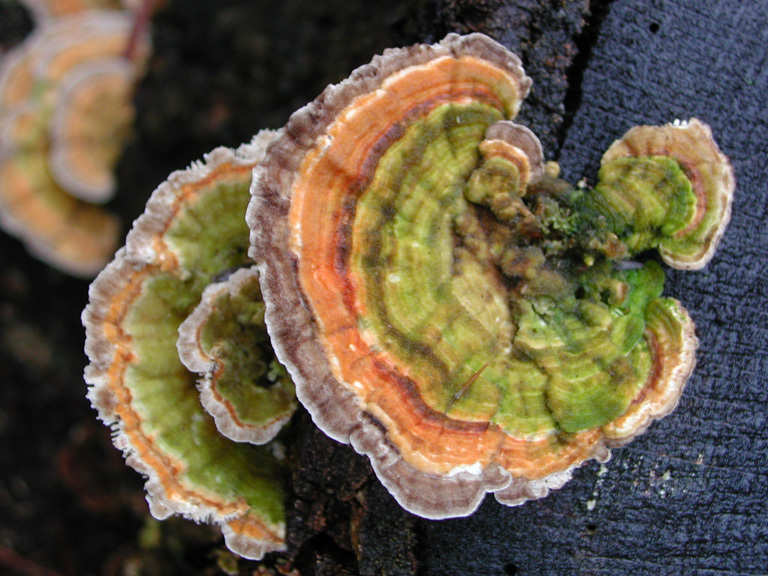 Coriolus versicolor (Turkey tail) – Available in United States as an extract and dietary supplement. 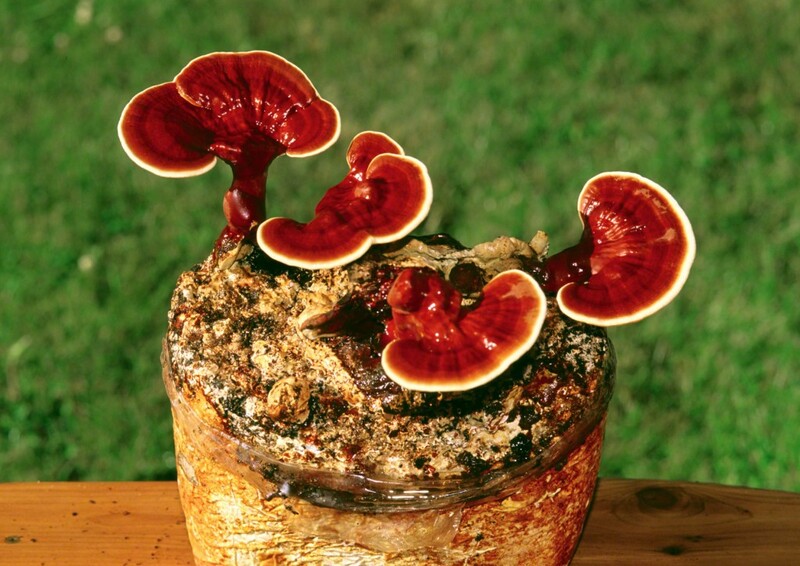 Reishi (Ganoderma) cultivation, In the United States, I only found it available in supplement form. It is available in Asian cultures. Speaking about finding your own local mushroom farmer, the Mushroom Capital of the world is in the United States. We should know a thing of two about growing mushrooms but only a few people know about it. In the home of “Brotherly Love” and the “Constitution”, in the state of Pennsylvania there is such a place. Close to where Hershey chocolate is made they grow mushrooms. Kenneth Square a borough in Chester County, Pennsylvania, United States is known as the Mushroom Capital of the World for it produces and sells over a million pounds of mushrooms a week. Just outside the town lie 20 acres of steaming compost piles made agricultural wastes also known as mushroom food. There is even an annual Mushroom Festival, where the town shuts down to have a parade. The area was originally inhabited by the Lenape Native Americans. The land came from the original land grant from William Penn. It was the site of General Sir William Howe’s march to the Battle of Brandywine during the American Revolution. It was also known as an important part of the Underground Railroad that helped slaves escaping to the North for freedom. Kennett Square’s founder introduced mushroom growing. He imported spawn from Europe and started experimenting with mushroom cultivation. Kennett Square is the subject and setting of 19th-century American author Bayard Taylor‘s novel, The Story Of Kennett. A mushroom is another form of life on this planet. They do not grow from seeds they grow from microscopic spores that reside in the cap of the mushroom. These microscopic spores are available and can be purchased along with the growing medium If you like sprouting you’ll love mushroom growing. There are hundreds of types of edible mushrooms and many can be grown in your own home. You can start with the easy strains and expand to the more difficult that need an expert touch. I have looked on the web and have found spawn (a mixture of mushroom spores and nutrients) for sale or you can buy a whole rotting log with Shiitake spores. It is best to look around for I have heard is isn’t as easy as it sounds. Your best bet is to go to your local farmers market, if there isn’t a mushroom farmer there they most often know where you can find one. I know I have found just a farmer not more than 50 miles away from me. Many exotic or medicinal mushrooms are available only in powered or extract form. It is best to try to find the whole mushroom sold dried or as a powder rather than a partial ingredient extract form. White Agaricus bisporus (Button, Crimini, Protibello, or White), is an edible basidiomycete mushroom native to grassland in Europe and North America. It is refer to as the American industrialized white mushroom. It is the most common and widely consumed mushroom in the world. It can have two colors white and brown. When immature and white the mushroom is called button, champignon, common, cultivated, and table mushroom. When immature and brown the mushroom is called brown cap, chestnut, cremini, crimini, Italian brown, Roman brown mushroom. When mature it is known as the Portobello mushroom. Brown Beechor Shimeii– Mushrooms have always had a reputation for having magic – maybe because they spring up overnight. These beauties I have found in an Asian market and are crisp and pick up the taste of what it is cooked with like soy sauce or sesame oil nice tasting. They should be cooked not eaten raw. Cordycepst – Or Caterpillar or Tochukasu. 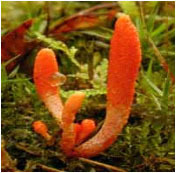 Cordyceps is a Chinese fungus used as a tonic and restorative. It is also known for improving athletic performance by increasing ATP production. It is also known for its anti-inflammatory characteristics. It is hard to find whole but can be found in powered or in extract form. What is interesting about this mushroom is it host is an insect not a plant. Chanterelle – range from yellow, orange, and brown to pale white or black. The funnel-shaped caps have wrinkles instead of gills on the underside. Their taste has been described as nutty. Enoki – Enokitake A slender, tiny, white mushroom. A small button shaped cape with a long slender stem. They are normally grown in bunches. They have a mild fruity flavor with a crunchy texture. They are usually eaten raw in a salad or sandwich. It is recommended to separate the stems before serving. They can also be cooked in soups or stock. Chicken of the Woods not Hen of the Woods (Laetiporus) – (Crab of the woods),. 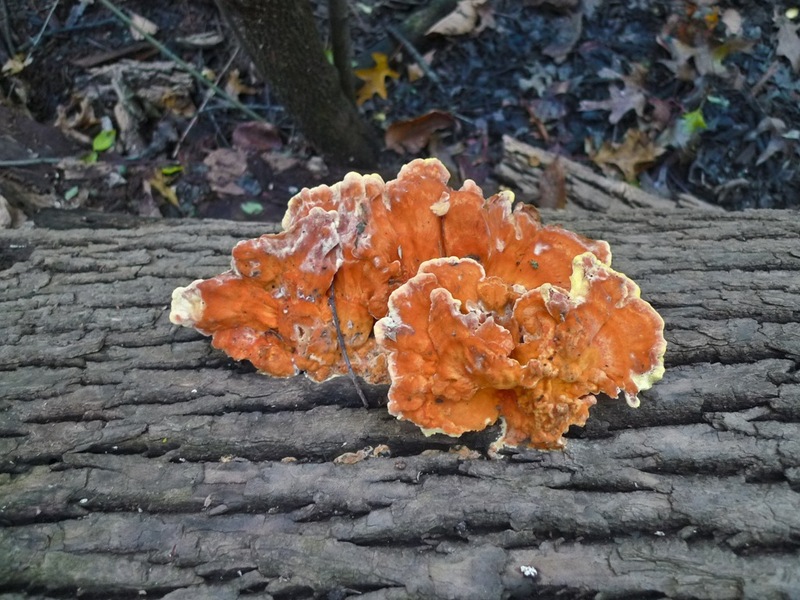 The name “chicken of the woods” is not to be confused with the edible Maitake known as “hen of the woods”, or with Lyophyllum descastes, known as the “fried chicken mushroom”. 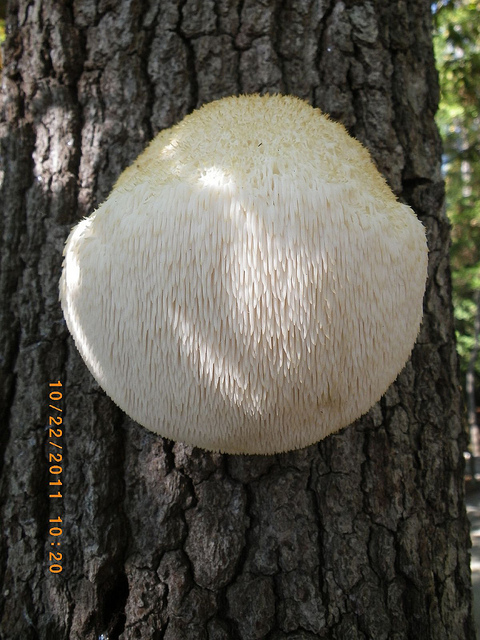 Lion’s Mane: This nontoxic medicinal and culinary mushroom is believed to stimulate nerve growth and cognitive impairment. Maitake or Hen of the Woods– It is a delicious Japanese mushroom. It has a distinctive aroma and rich woodsy taste. The need to be cooked lightly or sautéed in butter or oil. 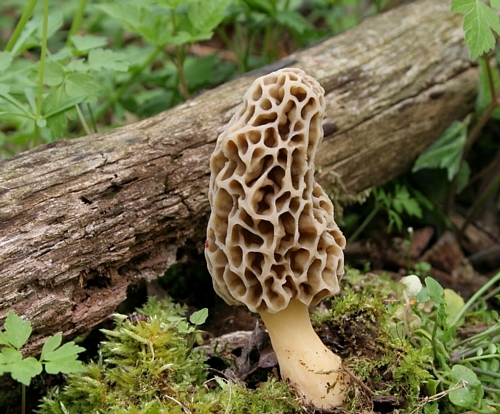 Morchella or Morel– Has a cone-shaped honeycomb like appearance. Morels have a porous, sponge-like appearance above the stalk. They also have a strong earthy or smoky flavor. Morals are a prized gourmet treat, particularly for French cuisine. Commercial value aside, morels are hunted by thousands of people every year simply for their taste and the joy of the hunt. Morels need to be cooked for they contain small amounts of hydrazine toxin which is removed by cooking. Morels should never be eaten raw. Oyster Mushroom – Also called elephant, oyster cap, pleurotte, shimeji tree mushroom, They get their name from their flavor. The have a trumpet shape and come in many colors. They can be beige, blue, light brown, gray, pale yellow, reddish, or white. The stems have broad gills and rise into a flat, mostly uneven top that resembles an oyster. 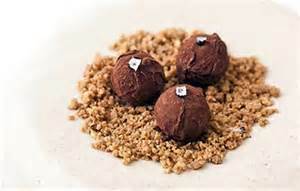 They have a soft velvety texture and delicate peppery flavor. Some people compare them to the oyster from the sea. The peppery flavor becomes milder when the mushroom has been cooked. The Oyster mushrooms are found in the wild growing on logs or trees. They can be small or king size. Oyster mushrooms are delicate and ideal to grow them in your own home garden. It is best to sauté to bring out the flavor. Reishi – When it comes to medicinal mushroom this is the champion of all mushrooms. This mushroom has many names in its Asian form one for each country it seems. In China it is called the “Spirit Plant”. It has been used as a medicinal mushroom for more than 2,000 years. This is a medicinal mushroom only not culinary – You do not eat it. Reishi is bitter, hard and woody. You can buy the complete mushroom powdered which is advisable but extract or capsules are available. The whole mushroom is better for the complete benefits plus you can use the powder in a tea. It is hard to find but my local mushroom farmer has it. Shiitake (Lentinula edodes) – This is one of the oldest, healthiest food on the plant. Put it right up there with garlic. It is considered a medicinal mushroom. It has been used for centuries extensively in ancient Traditional Chinese Medicine (TCM). The name is translated from the Japanese, “shii” which refers to the tree on which these mushrooms originally grew, the “take” simply means mushroom. Shiitakes are tan to deep brown in color with wide spongy umbrella-shaped tops. They are famous for their rich texture and dense smoky meat flavor. This flavor intensifies when dried and then reconstituted by soaking in water. 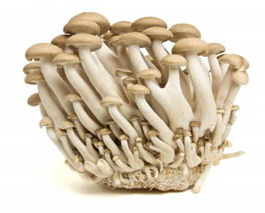 They are the second most common cultivated edible mushroom and available on market shelves worldwide. The white mushroom is first but the shitake wins hands down with tens time the flavor. They are best eaten cooked with the stems removed. Sauté shiitake or oyster mushroom with butter and heat add mushrooms sauté 3 to 4 minutes until they turn a light brown. Add salt, pepper and parsley and serve. Save and freeze the stems for soup stock later. The shiitake enjoys culinary gourmet status and are carefully cultivated in a labor-intensive forest farming method. When purchasing shiitake mushrooms the best way to tell if it is real is its price. Cheaper versions of the mushroom can be cultivated and grown on sawdust blocks reducing its nutritional value. The difference can be from $4 or $40 a pound. You pay for what you get. Trumpet – mushrooms are the largest of the oyster mushrooms, and are also known as King trumpet, French horn or King oyster. They have thick, meaty, white stems with small, light brown caps. Mushrooms add variety to any dish and they generally have nutritional benefits but the best mushrooms are the ones either grown yourself from a log kit or from a local farmer. 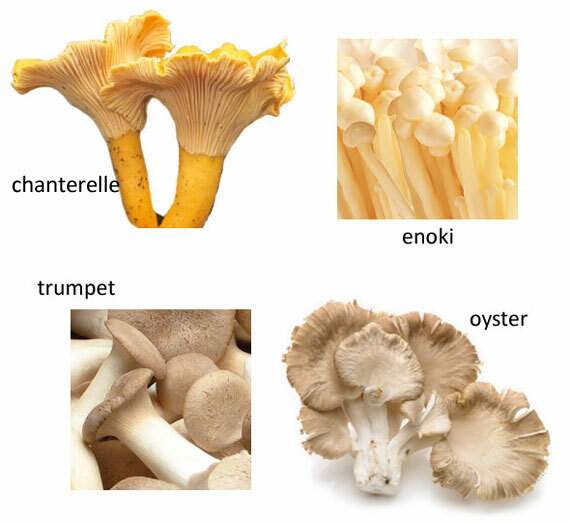 Some mushrooms I have found to be beneficial to your health and reasonably priced are Brown Beech or Shimeii, Enoki, and some variations of the Oyster like the Trumpet or King Trumpet.. 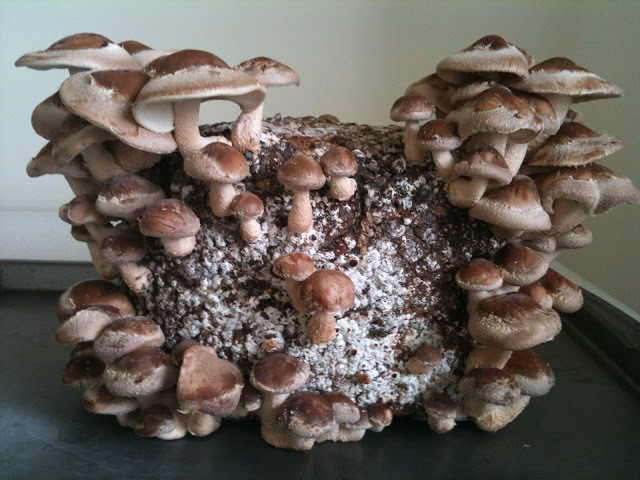 The Shiitake mushroom is very popular you have to take a careful look to get a feel for how it is grown. The white button mushroom I have found to be of commercial value only without any health benefits. The commercial mushroom is farm raised and many vitamins are synthetically made and added. Unfortunately the only way to know if you have a health mushroom is a healthy price tag per pound.